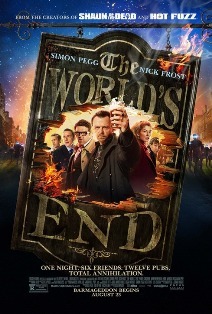 The World’s End, the third film in Simon Pegg and Edgar Wright’s “Three Flavours Cornetto Trilogy,” opens this Friday. 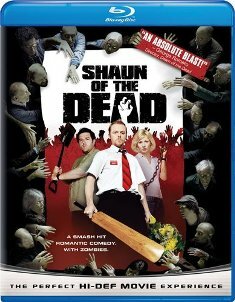 The previous two films were Shaun of the Dead (2004) and Hot Fuzz (2007). If you’re wondering what Cornetto refers to, it’s the brand of ice cream eaten by the characters in the films. The name is kind of a joke, a tongue-in-cheek way of pointing out the tangential relationship between these movies. While they are not about the same characters, they all were directed by Edgar Wright and star Simon Pegg and Nick Frost. Pegg and Wright wrote all three films and they were each produced by Nira Park (who seems to always be left out, so I’m going to mention her). They also all take place in a small British town and have some kind of supernatural element. In honor of the release of The World’s End we are presenting our five favorite Simon Pegg characters. The first of the Simon Pegg and Edgar Wright big-screen collaborations. I love this movie. It’s got humor, heart, and zombies. Pegg’s Shaun is the quintessential everyman. He’s in a dead end job, his girlfriend broke up with him, and his life is in a rut. The zombie apocalypse gives him the perfect opportunity to be the hero. Who can’t relate to wanting to be something more than already are? It must be hard to jump into the shoes of an iconic character. Scotty, as played by James Doohan, was already beloved by Trek fans. 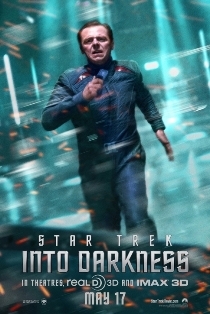 I’m not going to lie, I was skeptical about the J.J. Abrams reboot of the franchise, but I was excited when I learned Pegg was involved. He did a great job capturing the essence of Doohan’s quirky humor while putting his own unique spin on it. Pegg appeared as a Benji in the third Mission: Impossible film, but it was a fairly small part. His role was expanded for Ghost Protocol to great effect. Benji served as a sidekick to Tom Cruise’s Ethan Hunt, providing comic relief and a little dose of reality from time to time as Benji’s physical skills simply don’t rise to the near-super level of Ethan’s. If you’re a fan of the Pegg/Wright collaborations and you haven’t seen Spaced, you will want to check it out. The BBC series ran for two seasons. Tim and his new acquaintance Daisy (Jessica Hynes) pretend to be a real couple so they can rent a low-priced flat together. 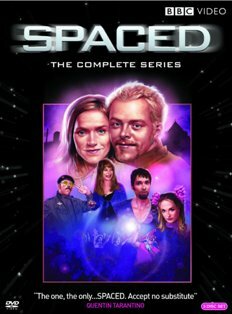 Spaced is a funny show with witty commentary on pop culture, particularly the newly-released (at the time) Star Wars prequels. The series’ rampant drug references may be off-putting for some, but there’s more to the writing than just that. Look out for Ricky Gervais, who appeared in a bit part during a season two episode. Simon Pegg in Doctor Who – what could be better? Pegg can be found in the series one episode “The Long Game.” This episode marks The Doctor (Christopher Eccleston) and Rose’s (Billie Piper) first visit to Satellite 5, which turns out to be a pivotal location later in the series. Pegg’s Editor is the keeper of the mysterious Lever 500 the inhabitants of Satellite 5 are so desperate to get to. It may not be the best of the series one episodes, but Pegg makes the most of his supporting role.